We're having an English breakfast with our neighbors down the hall tomorrow morning while watching DVR'd coverage of the Royal Wedding. 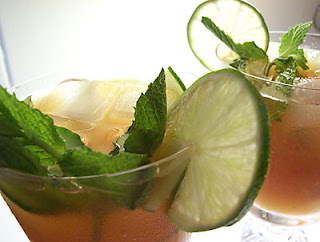 Although usually reserved for Wimbledon, I couldn't think of a better libation than the time-honored Pimm's Cup to serve! 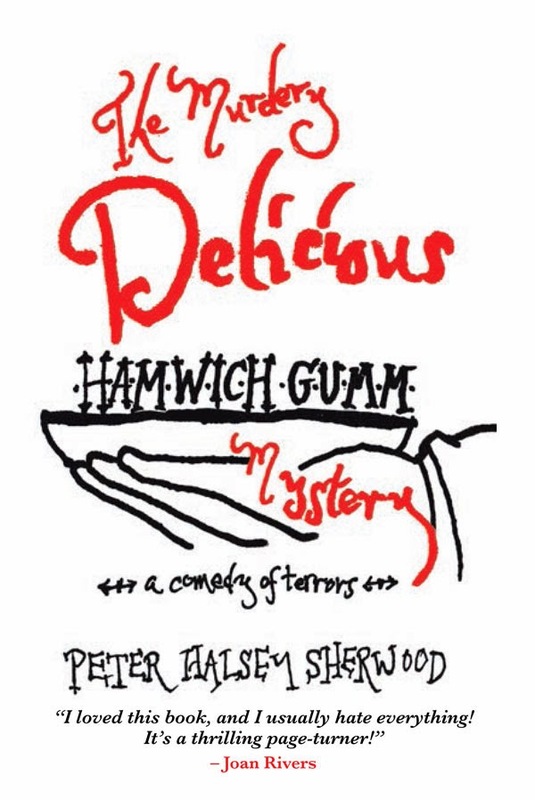 My mixologist friend Stephanie Schneider, owner-operator of Huckleberry Bar in Williamsburg offered up her recipe and I am more than pleased to present it here on Evenings With Peter. I've already made the simple syrup and just can't wait to start juicing that ginger! Add ingredients into a shaker and throw in a fistful of ice. Shake, pour into a highball glass and tie one on while toasting to yet another SOB who has tied the knot. Cheers! Thanks to wellfed.typepad.com for the gorgeous pic! Set your simple table and take these recipes as you will, inspired by Good Dog Bar and Restaurant in Philadelphia where Baby and I spent our Easter weekend. Do find pleasure in creating a truly special dinner, at your own home. As always, wish for the best and choose your guests wisely. Dressing for your salad course: use the chart of my favorite Michael Lomonaco's Shallot and Champagne Vinaigrette with a few alterations. As classic duck a l'orange is so delicious I thought that using blood orange olive oil would set the whole duck deal up perfectly, which it did, with ribbons of bacon flavor too to stand up to the approaching game bird. Use 1/4 cup red wine vinegar, 1 tb Dijon mustard, 1 tb sugar, 4 peeled shallots, 1/4 tsp salt, 1/4 ground black pepper--throw into a blender and then slowly incorporate 1/2 cup blood orange olive oil and 1/4 cup softened bacon grease. Creamy, divine, and far more interesting than impeding company! Click Duck Pot Pie for the recipe. The link from Saveur will help you make your own duck confit that the recipe requires but I suggest cutting to the chase as I did (otherwise buy it already done from D'Artagnan or a local butcher): pull the duck fat off the legs, render it in a cast iron skillet to release the most fat and when it's at room temperature, set the fat aside in the fridge. Pour coarse salt on all sides of the stripped duck legs, cover and leave to consider in refrigeration for at least eight hours. Wipe off the salt and slather with your rendered duck fat (I didn't "submerge" as the recipe calls for); put in a 250-degree oven for about 90 minutes, turning over once, halfway through. When you make your filling, keep the duck meat on the bone for flavor while it fully cooks in the stuff and then remove the legs. Once simmered down to a manageable temperature, use a deft fork or your own hands to pull off the meat and then proceed to stuff the innards of your extraordinary pie with abandon. I don't mind telling you I ate dirt once. I was about five or so and I wanted to. I also used to wash my own mouth out with soap. 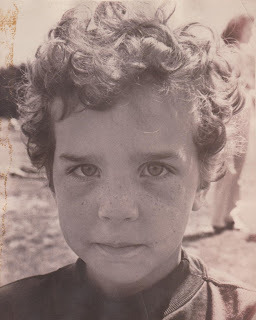 In the event that I ever sassed my parents and was to be punished, I wanted to be prepared for the taste. Same went for when I would eat stale bread with a glass of water, in case I was ever thrown into jail. Also I had great plans for eventually opening a restaurant comprised only of marshmallows, served any way my clientele wished--basically lightly browned, a good fire on, or burned. 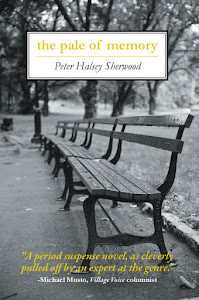 Oh yes, left much to my own devices as a youth, I had a vivid interior life. Some more stuff about my curious relationship with food: I never have really overeaten and have always remained relatively thin, but most times these days I don't eat enough, except in my gorging capacity as dining editor but even then I reign it in with portion control. In the last year I deliberately dropped 15 pounds, reaching a circumference that can once again fit into my pants. I held a couple of waiter jobs when I was in college and was terrible at it. As it wasn't up to me to cook the food, I never cared if it ever made it to any of the customers' tables in a timely manner. I was too busy anyway scarfing down the lobster meat from the walk-in refrigerator at one place and devouring chocolate peanut butter pie off the dessert cart at another. I learned some things though during those particular posts. I would fiddle about with items I served such as boboli crusts, adding cheese, chopped tomatoes and bacon on them with a few spoonfuls of sour cream. I still love that. Once I called my friend when I bought a chicken and asked for any suggestions as to what to do with it. She suggested a sprinkling of lemon pepper in a 350 degree oven for 40 minutes or so depending on the size of the bird. Brilliant! But I never made a real meal until I was in my early 20's. It was an asparagus souffle from the pages of the Silver Palate cookbook. I would call it successful, but having tried my hand at souffles subsequently over the years, let's just call it beginner's luck. Thankfully I finally figured out how to cook, instinctively divining what goes with what, all by myself, and have made a sort of peace with my odd, bordering-on-bulimic behavior toward food. My dinner guests are the better for it too and eagerly rush over, knowing I will earnestly try to serve them something else other than dirt for dinner. Frill about while we are all aching for spring? I never met Baby's mother, as she passed a few years before he and I met, but her loving memory looms large when related in the many stories told to me by her family and friends. Just the other day Baby told me about the Orange Banana Cakes she used to make for his birthdays when he was growing up. Well naturally, I set to work right away for a surprise! It doesn't seem like the Orange Chiffon cake mix exists anymore, so I used a Betty Crocker Butter Recipe Yellow cake mix and zested an orange into it along with beating 1 1/4 cups water, a stick of unsalted sweet cream butter and three eggs together as the back of the box suggests. I made Jell-O Banana Cream instant pudding separately and let it chill and thicken for a few minutes before folding it into the mix. Instead of making a whole cake, my batch was spread into a pan of mini bundts (12 all told) sprayed with Pam three times. After the whole thing rested for 10 minutes, I loosened the little beauties from the pan over a cooling rack and with no apologies, put a dollop of Duncan Hines cream cheese frosting on top of each. Marvelous! Was London Broil a part of your childhood on occasion, when things shifted from the everyday burger, spaghetti, mac 'n' cheese or creamed ham on toast? It certainly was for me when my Mom would throw one of these steaks into the broiler. If you grew up with that rich, meaty Bonanza-like smell that rode out of the oven like a herd of fine cattle, chances are the memory hasn't been forgotten. When Baby and I moved into London Terrace a few years ago, around dinner time it seemed like all our neighbors were making London Broil when the opening elevator door paused on certain floors to envelope us with that definite, delicious aroma. Just the other day we were so inspired to broil the steak ourselves, with some creamy instant garlic-flavored potatoes and a slowly heated side of French-style green beans from a can with butter and salt. It all came out very well, and as confirmed by my Mom, all the meat needs is a little salt and pepper when placed in the broiler for about 10 minutes for sliced medium-rare perfection. 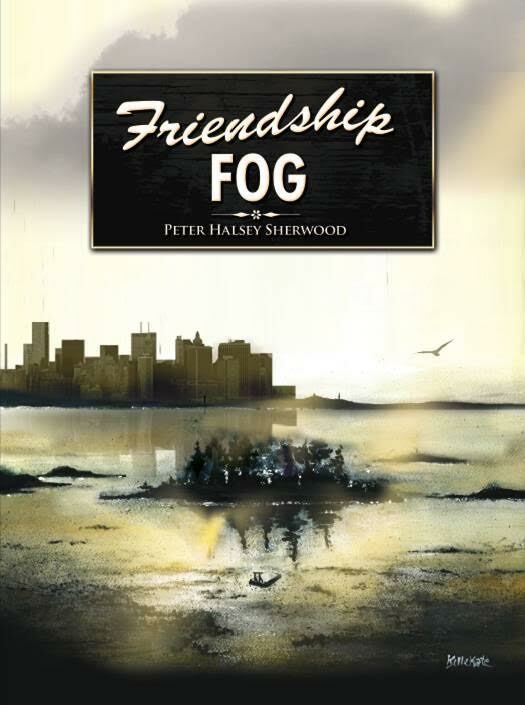 Of course, hardly satisfied with that, we used a judicious sprinkling of Penzey's nostril tingling, Chicago Steak Seasoning with garlic, Tellicherry black pepper and hickory smoke--and we heartily suggest you do too. The boys at Jo’s have got it going on. Their menu is consistently delicious and recently they introduced the cutting edge Punk Rock and higher-end Rockstar concepts, featuring wines all considerably lower priced than their competitors (who are surely gnashing their teeth). We settled in on a recent evening and flipped over the Brussels Sprouts. Forget notions of suffering foods you had to endure growing up—not only will you devour these plucky sprouts, you’ll ask for seconds! A visit to Jo’s is definitely in order but owners Jim Chu and Johnny Santiago were kind enough to send us their recipe to make at home. Heat pan on medium/high heat for one minute. Melt butter until slightly brown. Add shallots and quickly sauté. 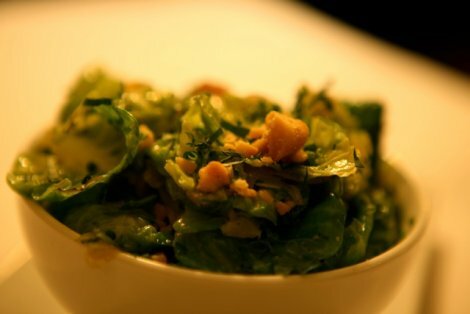 Add Brussels sprouts leaves and toss to coat until slightly wilted. Add salt and pepper to taste. Take pan off heat, add nuts and toss. Visit JosNYC.com for more info. As the spectacular French-inspired Philadelphia International Festival of the Arts draws to a close after a month-long extravaganza featuring all that is good in the worlds of fashion, food, and culture, they are taking the party to the streets with the PIFA Street Fair. And don't expect them to go quietly. On Saturday, April 30, from 11am to 8:30pm, The Avenue of the Arts (Broad Street, Chestnut to Lombard) will get a grand makeover, gussied up to create a Parisian street fair in Philly: various vendors roaming la rue will proffer food and wares amidst cafe tables and chairs; crowd-pleasing international performers will be in attendance; a grassy 55-by-80-foot landscape sets the stage for sunning, with a convenient area perfect for parking the kids. Did we mention the installation of an enormous, giddy Ferris wheel? In a coup de theatre, the French theatrical troop La Compagnie Transe Express closes the festival with a performance 100 feet in the air, circling around the setting sun in a glowing chandelier set-up that rivals The Phantom of the Opera and its inspiration, the magnificent glittering objet d'art in the Paris Opera House. Talk about a showstopper! Thanks so much to The Annenberg Foundation, The Kimmel Center and everybody involved who shared their kindnesses and passion for supporting the arts in order to create such a marvelous party. And thanks to nakedphilly.com for the snap here. Stay tuned as eveningswithpeter.com ventures forth in its coverage of PIFA through May 1. Evenings With Peter presents A Night at The Movies courtesy of the Philadelphia International Festival of the Arts! 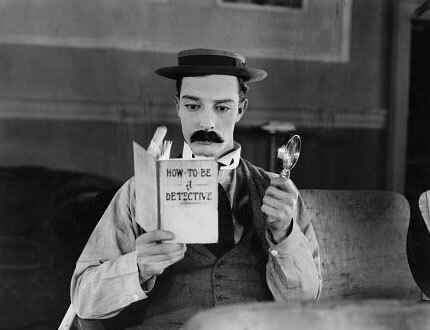 Le Voyage dans la Lune (A Trip to the Moon, 1902) and Sherlock Jr. (1924) starring Buster Keaton will be shown on April 29 at 8pm at the Innovation Studio in The Kimmel Center. Grab tickets for $10 to see these silent classics orchestrated by students playing an original soundtrack to the films. Rocking versions of Cole Porter tunes are in the house as the evening also features Martha Graham Cracker and the students of Independent Rock. Back when I was in grammar school, my father used to take me over to the University of New Hampshire (my eventual alma mater) to watch a silent film series at the Dimond Library. The faces of Charlie Chaplin, Buster Keaton, Lillian Gish and Tom Mix lit up the screen in black and white while nimble fingers tickled the ivories of yesteryear as accompaniment. It seemed only fitting that as a college student at UNH I once again reveled to the antics of the stone-faced Keaton in The General during a film course I took. I had the opportunity to imitate the great man myself during college in a student film that paid homage to the silent classics. I was so fascinated by Keaton's agility, his ability to do his own incredible, masterly stunts that I was more than eager to try something short of similar myself that afternoon, a little over 20 years ago now. At one point I had to pitch myself headlong down a tar pit covered in snow--I think I may have even suggested it--but I told the director I would only do it once. I ended up doing it twice to complete the take. It was hilarious and I still absolutely cherish the memory. Don't miss this amazing chance to catch these stars and their seminal movies on the big screen! 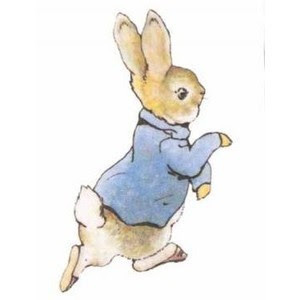 Perhaps this post should really be called Evenings With Peter Rabbit, or rather A Morning With Peter Rabbit, as we join in on an Easter Egg Hunt! The Philadelphia International Festival of the Arts is celebrating the promise of spring by putting their eggs in a number of undisclosed baskets, so to speak, on April 24th from 11am to 1pm for children 10 and under to find somewhere within the grounds of the Kimmel Center Plaza. Harried parents in attendance breathe an unburdened, collective sigh of relief that they don't have to do it--and it's free. Easter was a big deal for me growing up as I did in a relatively Catholic household because my father would make a grand show of things, creating poetic clues written on little pieces of paper that he'd scatter around, leading us kids to the eggs and prizes he’d hidden in the backyard somewhere. I loved it. Although I didn't necessarily understand the religious underpinnings, it was simply thrilling enough, waking up on Easter morning to discover huge chocolate bunnies, Peeps, jelly beans, and alarmingly colored plastic grass stuffed in glorious white wicker baskets for us too, wrapped in cellophane. And of course, I’ve always had a penchant for pastels. 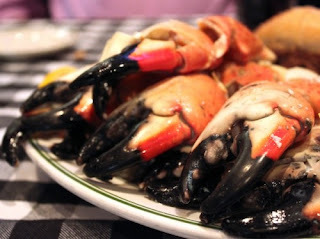 On an out of pocket afternoon in Miami, Baby surprised me with a trip to Joe's Stone Crab, now in its 98th season. We were just talking about it the previous evening with a few fellow barflies at The Raleigh and I confessed I had never been. In the early 1900's, it appears old Joe and his wife happened upon stone crabs, whipped up a now legendary mustard sauce, and voila, a sturdy tradition was born. We sipped illicit martinis and sidecars sitting in the sprawling, sunny dining room that seemed blissfully unaware of time--a perfect classic steeped in history, like The Brown Derby in Los Angeles, with a fair share of revolving celebrity. A round of oysters on the half shell was first up, then a lettuce wedge with tomatoes, cucumbers, and onions and Roquefort cheese. A passel of fresh, beauteous orange and yellow black-tipped stone crabs followed that I just adored, with the aforementioned mustard sauce. Baby ordered the jumbo lump crab cakes while I turned my thoughts to a steamed Maine lobster. The selections of seafood, meat and poultry range from $10.95 to $39.95 but somehow a most delicious 1/2 fried chicken comes out with a mind-boggling $5.95 price tag! Naturally, we had to try a slice of Joe's original homemade (and deliberately frozen) key lime pie, the recipe for which I've included below. I've also included the recipe for the mustard vinaigrette with a link to the mustard sauce. Thanks to Saveur magazine for that! As the sign says, "EAT AT JOE'S" or have dinners shipped to your home by calling 800-780-CRAB and alternatively visiting joesstonecrab.com. Mix all together and chill. Can use balsamic vinegar instead of red wine vinegar for a sweeter taste. Preheat the oven to 350 degrees F. Butter a 9-inch pie pan. Break up the graham crackers; place in a food processor and process to crumbs. (If you don't have a food processor, place the crackers in a large plastic bag; seal and then crush the crackers with a rolling pin.) Add the melted butter and sugar and pulse or stir until combined. Press the mixture into the bottom and sides of the pie pan, forming a neat border around the edge. Bake the crust until set and golden, 8 minutes. Set aside on a wire rack; leave the oven on. Meanwhile, in an electric mixer with the wire whisk attachment, beat the egg yolks and lime zest at high speed until very fluffy, about 5 minutes. Gradually add the condensed milk and continue to beat until thick, 3 or 4 minutes longer. Lower the mixer speed and slowly add the lime juice, mixing just until combined, no longer. Pour the mixture into the crust. Bake for 10 minutes or until the filling has just set. Cool on a wire rack, then refrigerate. Freeze for 15 to 20 minutes before serving. I have always found a nightcap to be the pause that refreshes; a moment to reflect on the day’s events and perhaps contemplate what’s in store for tomorrow before hauling oneself off to bed. But why go home just yet after all the activity during the Philadelphia International Festival of the Arts, when there’s a world of Night Time Entertainment going on too! Stop by the Commonwealth Plaza and discover late night noshes on a bar menu while local bands rock on, DJs spin their records ‘round and a number of performers gear up to help you wind down. April 13 – 29, Wednesday – Saturday, 10pm – 12am. Free. Should you wish to turn up the volume a little louder at the end of the day, check out the Last Party in Paris with dancing underneath La Tour Eiffel until all hours. High profile DJs, specialty drinks and a VIP lounge will definitely give you a glimpse into what Paris is like when it sizzles. April 29, 9pm – 2am. Tickets are $30; click here for tickets. Somewhere in between, Jazz Nights offers local jazz musicians swinging on the Plaza stage with sustenance (liquid and otherwise) provided at the PECO bar. Tuesday April 12, 19, 26 at 5pm. Free. For an added jolt, the Eiffel Tower Light Show promises to be quite the spectacle twice a night with 6,000 light bulbs electrifying audiences when the 81-foot Eiffel Tower and Plaza come to life with this see-it-to-believe-it light and sound show. April 8 – May 1, Daily 7pm & 10pm. Free. 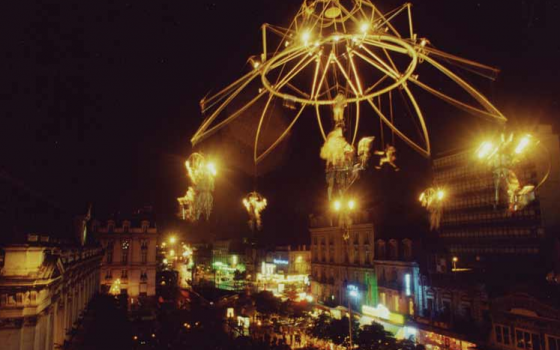 This spring, the City of Light lights up the City of Brotherly Love (Paris and Philadelphia respectively) with the Philadelphia International Festival of the Arts (PIFA) celebration from April 7 – May 1. Amidst all of the festivities featuring the flavors, fashions and culture of Paris, the Culinary Component sends the proceedings soaring by presenting the inaugural Culinary Visionary Award to Chef Georges Perrier on the Opening Night Gala. Lyon native Chef Perrier (a.k.a. Philly’s premier 5 Star Chef for 26 years) is being honored for his culinary contributions not only to Philadelphia but also for his work as a regional member of the Maîtres Cusiniers de France (Master Chefs of France). Apres Perrier, le deluge! From April 13 – May 1, eleven Master Chefs from Lyon and Paris will storm Philadelphia to collaborate with feted local chefs in a number of the fair city’s estimable restaurants, such as Le Bec Fin, Bibou, Bistrot La Minette, Caribou Café, Fork, Lacroix, Parc, R2L, Rouge, Table 31 and Amuse at Le Méridien Philadelphia. Our Gallic guests will work in tandem with the Philly folks to create an exclusive menu designed to delight patrons at the various eateries all throughout April. Specially prepared pairing menus for PIFA will be served from Wednesday through Friday, April 13 – 15. Feast your eyes on all of these pros poised to touch toques! 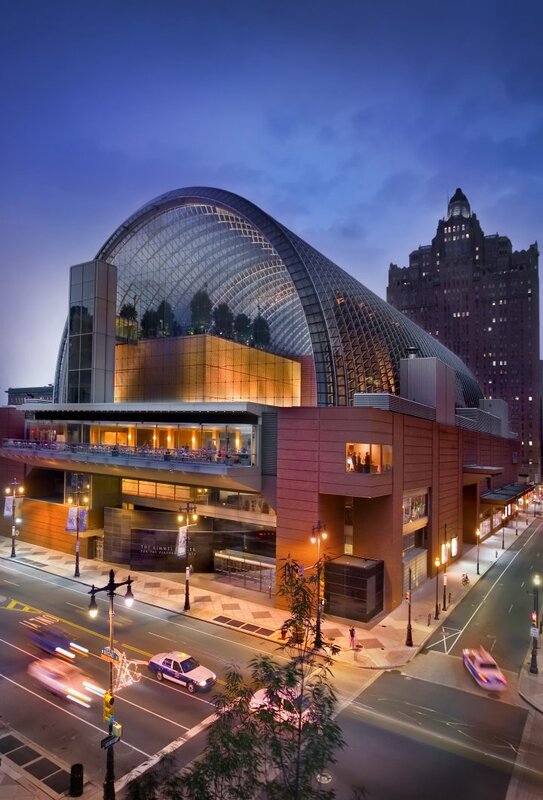 When the Philadelphia International Festival of the Arts launches Lunchtime Tunes on April 11 – 28, Mondays – Thursdays from 12pm – 2pm, the tinkling of piano keys will ripple over the Kimmel Center Plaza, offering a pleasurable way to enliven your lunch. Both students and professional musicians alike will provide the background music, playing classical strains of Chopin or Mozart perhaps and maybe even the likes of Lady Gaga on these sure to be memorable afternoons. 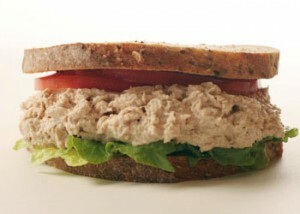 Although I don’t know what you might have in mind for lunch, I humbly supply the following favorites of mine: invariably I opt for a really good tuna sandwich, not that “garden” variety made with red peppers and no mayo. I prefer my tuna light on the mayo, with sprouts and red onions on rye bread—and sometimes sliced avocado for an added indulgence. Need I mention the requisite crunchy dill pickle and bag of Fritos? A Pepsi seals the deal. I also confess that I love opening a can of Manwich when at home and having my Sloppy Joe’s on a buttery grilled bun. Recently, I discovered a vegetarian version made with Blackeye peas! In either case, ditto on the pickles, Fritos and Pepsi. Another lunchtime go-to sandwich for me is nicely done rare roast beef on a crispy fresh baguette with romaine lettuce, red onions, tomatoes and a slathering of horseradish mayonnaise. Do enjoy this magical, musical picnic! And please note: although napkins may be provided, ants are not. Baby and I were fortunate enough to go to La Scala opera house in Milan a few years back—well, we didn’t actually go in and see an opera or anything, we just lingered around the ghosts as I splayed my fingers over the grand façade and tried to channel Maria Callas. But we did have a wonderful dinner in Milano that evening at La Libera, supping on Crepe Lasagna and Filetto Manzo. We had just left a glorious three days behind us at the Hotel Tremezzo in Lake Como before stopping overnight in Milan en route to Switzerland via St. Moritz—all in a remarkable 24 hours! 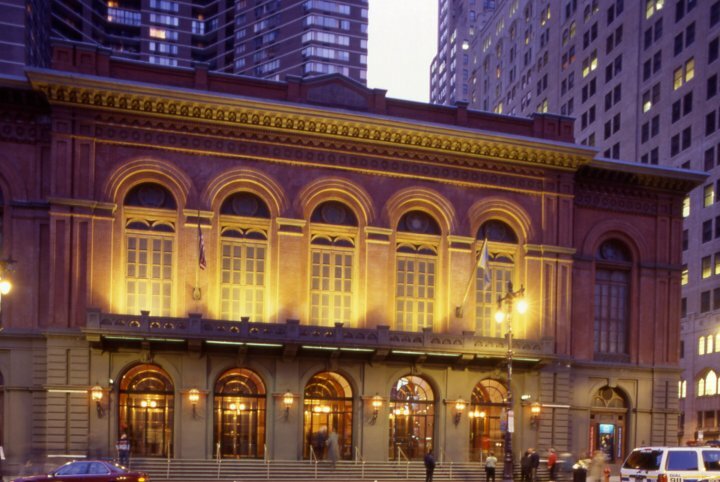 This year, the Philadelphia International Festival of the Arts is bringing Milan to you, courtesy of Philadelphia’s 1865 Academy of Music, modeled after the famed La Scala, as they present Bistro Academie. The newly restored ballroom in this performance and architectural landmark on the Avenue of the Arts (Broad/Locust Streets) will play the glamorous host, offering a bistro-style buffet menu created by Wolfgang Puck Catering. Dinner is served April 7 – May 1, Friday - Sunday from 5:30pm – 8pm. A sparkling Sunday brunch is also served 11:30am – 2:30pm. Reservations are suggested, so call 215-546-7432 or 215-670-2388; visit pifa.org as well for details and tickets. Surely less harrowingly judgmental will be the French in 10 Minutes event at the Kimmel Center Plaza, part of the Philadelphia International Festival of the Arts, in collaboration with the Alliance Française de Philadelphie. At the free sessions, groups will be taught key words and turns of phrase by true French teachers at 5pm nightly from April 11-28. The roster of lessons include such Gallic topics as wine (naturellement), the arduous Tour de France, the grand Louvre museum, and who knows? L'amour might even be on le menu. P.S. Even after 4 ½ years of taking French, I can hardly claim to be fluent but I do still like rum. Tant pis. Put all your eggs in a free range of egg cups, instead of in one basket?